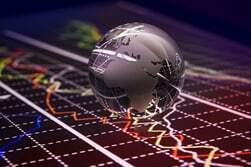 Indexes are like a thermometer for the stock market, says John Heinzl, reporter and columnist for GlobeInvestor.com. “Daily we hear of the S&P/TSX composite index being up or down so many points and the index closed at a certain level. 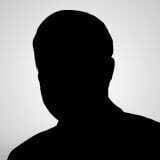 What does that number mean and how is it derived?”—B.T. Indexes are like a thermometer for the stock market—they give us a general sense of whether things are hot or cold. They’re also increasingly used as the basis for exchange traded funds, which explains why index providers are churning out new indexes all the time. “By far the biggest change is the expansion of ETFs. Now indexes get custom-created for ETF providers,” said Tony North, director of Canadian index services for Standard & Poor’s, which publishes nearly 40 indexes in Canada, up from about 20 five years ago. Worldwide, there are so many indexes that nobody could possibly follow them all (or want to). But understanding how indexes work can make you a more informed investor. So today, we’ll lift the hood on a few different kinds of stock indexes, starting with the most common type. 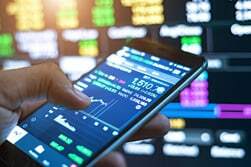 The most widely quoted index in Canada, the S&P/TSX composite, is what’s known as a market-capitalization-weighted index. That means the bigger the company is—as measured by the market value of its shares outstanding—the more weight, or influence, it has over the index’s value. To make the cut for the S&P/TSX composite, companies have to meet various thresholds for size and trading volume. 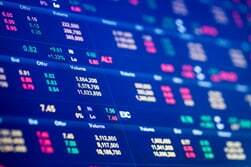 Only stocks listed on the Toronto Stock Exchange and incorporated in Canada (or established under federal, provincial, or territorial jurisdiction in the case of income trusts and limited partnerships) are eligible. This is a bit complex, but it boils down to this: S&P adds up the market values of all companies in the index (currently 234), then divides by a special number. The value of this number—known as the index “divisor”—is adjusted regularly to reflect index additions and deletions, share buybacks or issuances, spinoffs and other events that affect a company’s market cap. By adjusting the divisor, S&P ensures that the index isn’t distorted by such changes and has continuity from one day to the next. Using a divisor also ensures that the index value doesn’t become too large and unwieldy. Let’s look at a real-life example: As of Oct. 18, the index had a float-adjusted market cap of $1,437,664,251,869.30, and the divisor was $113,487,760.05. Dividing the first number by the second gives you 12,668.01, which—voilà!—is what the index closed at that day. The index is maintained by a committee of seven people—four from Standard & Poor’s and three from the Toronto Stock Exchange. The committee reviews the index quarterly and changes are implemented after the close on the third Friday of March, June, September, and December. Although market-cap-weighted indexes are the most common, one of the world’s best-known stock barometers—the Dow Jones Industrial Average—uses a different methodology altogether. The Dow is price-weighted, meaning that stocks with the highest price—regardless of the company’s market cap—exert the most influence over the index. This is a bit wonky. For example, IBM, which trades for about $140 (US), exerts more than five times as much influence on the Dow as Microsoft, which trades for about $25. Yet Microsoft is bigger than IBM. Another drawback is that the Dow comprises just 30 companies. For these reasons, many investors prefer the broader, market-cap-weighted S&P 500 as a measure of US stock market performance. Another variation is the equal-weighted index. As the name implies, these indexes give companies the same weight (usually readjusted every quarter) regardless of price or market cap. The result is that small companies have as much influence over the index as large ones. According to proponents of equal weighting, this is preferable to allowing big firms to dominate because small companies often deliver outsized returns. 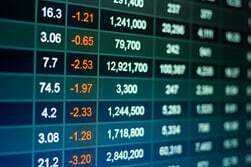 Yet another variation are fundamental indexes, which use factors such as dividends, cash flow, sales and book value rather than market cap to determine relative weights. In recent years, Canadian ETF providers have been marketing more products based on equal-weighted and fundamental indexes. Now that you have a better understanding of how indexes work, you can impress your friends at dinner parties with your vast knowledge of index weights, divisors, and float-adjusted market caps. They’ll thank you.